Simple has raised $17 million to roll out its intelligent marketing platform globally. The round is led by Brett Blundy’s BBRC Private Equity, with existing investor, Perle Ventures, also increasing its investment. The fresh round of capital will expedite the Australian technology vendor's expansion into new markets in Europe and further develop its existing business in the US. The investment is BBRC Private Equity’s first after it was established as part of BBRC’s new Capital Management division earlier this year. Simple’s marketing resource management software is an upstream planning solution and central marketing workplace that aims to transform the way enterprise marketing teams work to enable organisations to increase the return on their marketing budget. It leverages Microsoft’s expertise in artificial intelligence and Simple’s knowledge of marketing operations, to give marketers new insights into the effectiveness of their marketing activity. Last month, Simple unveiled its new Intelligent Marketing Platform, which is built on Microsoft’s Azure Intelligent Cloud. Simple has become a Cloud Solution Provider for Microsoft, which provides engineering and marketing support, as well as a co-selling arrangement expected to drive strong growth for Simple’s MRM software in key markets. Cognizant has agreed to acquire SaaSfocus, a privately-held consulting firm specialising in digital transformation, leveraging the Salesforce Platform. The transaction is expected to close in the fourth quarter of 2018, subject to certain closing conditions. SaaSfocus is one of the largest independent Salesforce Platinum consulting partners in the Asia-Pacific (APAC) region with operations across Australia and India. The acquisition will expand Cognizant’s end-to-end digital transformation services and Salesforce cloud capabilities in these markets. PebblePost has secured a US$25 million Series C round, led by Advance Venture Partners (AVP). The new capital aims to enhance the company’s capabilities to convert shoppers into buyers with meaningful mail. Programmatic Direct Mail uses online interest and intent data to send meaningful mail that influences at-home purchase decisions and drives conversions across all transaction channels, online and physical. Brands on the platform get the ability to run direct mail campaigns as they are used to running digital campaigns. AVP joins prior investors that include RRE, Greycroft, Tribeca Venture Partners, strategic investors and angels and pioneers in digital media. David ibnAle, managing partner at AVP will join the PebblePost board of directors. The company recently added new features to the Programmatic Direct Mail platform to help brands engage with digital shoppers most likely to convert and improve attribution tracking both online and at physical retail. PubMatic has partnered with Australian creative ad technology firm, Bonzai, to aim to provide advertisers with high impact, rich media advertising. PubMatic and Bonzai have come together aiming to create a simple and seamless workflow to allow advertisers to buy rich media at scale across the Australia and New Zealand (A/NZ) markets. The partnership will offer Bonzai’s high impact formats like TruSkin & ScrollX, available at scale across PubMatic’s premium publishers including ESPN, Bauer and Daily Mail Australia. TargetEveryone has struck a new partnership with Vendasta, a platform for selling digital solutions to local businesses. Starting immediately, Vendasta subscribers (partners) can access TargetEveryone’s mobile marketing solutions directly from the Vendasta Marketplace. With TargetEveryone’s mobile messaging solutions available through Vendasta, companies who sell to local businesses can help market products and services using rich content SMS and email campaigns. 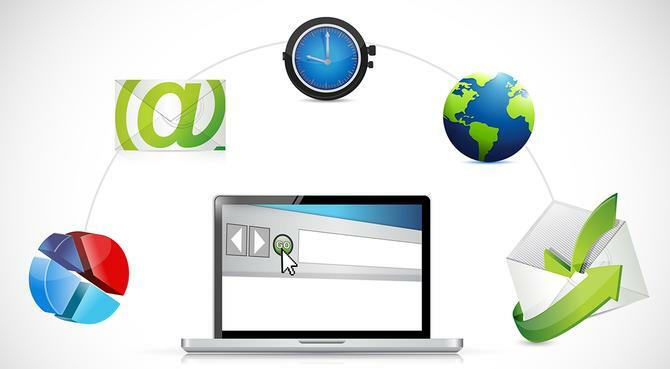 Drag-and-drop functionalities in the SMS and email editor aim to allow campaigns to be created in minutes. Clients can choose to send coupons, videos, sign-up forms, surveys, maps, social posts, calls-to-action, and more. Tobii Pro announced Tobii Pro Lab VR 360, which aims to enable cognitive researchers, psychologists and marketing researchers to utilise 360-degree videos and images when conducting eye tracking studies in virtual reality. The analysis software Tobii Pro Lab supports the entire workflow for designing, recording and analysing eye tracking data collected from any of Tobii Pro’s screen-based and wearable eye trackers. Researchers can place people in immersive scenarios and study behaviour in situations that would otherwise be too dangerous or difficult to replicate or repeat in real-life. Freshworks has taken the wrappers of Freshconnect, a new collaboration software solution aimed at bridging the gap between sales and customer support teams. Based on the group’s core 360 platform and immediately available via its Freshdesk and Freshsales offerings, the new tool is designed as a way for customer-facing and internal teams to better tackle customer issues and sales deals collaboratively. Features include real-time customer information, aided by communication threads being tied to customer tickets or deals and saved as part of a customer’s golden record, meaning all teams can see a customer’s history with the organisation. Threads are also organised by context instead of teams, a key factor in ensuring more seamless integration and resolution across business units, Freshworks said. Marketing automation player, Act-On Software, is claiming to have turned a profit for the first time in its 10-year history. The vendor announced it had set a new record for customer acquisition numbers in the first half of 2018, paving the way to profitability for the first time and ensuring the company is now cash positive. Figures however were not disclosed in the press statement. Act-On directly attributed strong customer growth to its strategy of investing in innovating and a financial architecture. The company now claims 4000 customers globally. Since the beginning of the year, Act-On has also nearly double employees in its Portland, US head office to nearly 100 staff, as well as appointed Simon Lappin as its new VP for EMEA sales.